Twin Rivers Mountain Resort is an upscale mountain community situated within a picturesque, ecological setting. Not only do the two go hand in hand and complement each other well, but Twin Rivers has a ” sincere concern for the natural environment and how the community blends with the beauty of the land.” If you want to live in a place that upholds these values and standards, Twin Rivers is the place for you. This magnificent mountain resort located between Banner Elk, Boone, and Blowing Rock of Western North Carolina is known and praised for its two remarkable fly fishing streams. Some would say it’s the best fly fishing in the southeastern U.S. You’ll catch a glimpse of the cherished pastime if you go to their website and click to read about fishing in Twin Rivers. Amenities don’t end there, nor do the outdoor excursions. Hiking is another favorite and ideal at this location. 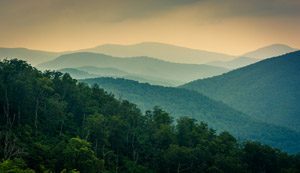 You can embark on an exciting hike to the top of Grandfather Mountain or to the Blue Ridge Parkway, both of which are well-known attractions. At Twin Rivers, the High Country and all it offers are at your fingertips. For the best of both worlds, come find your place amongst the 350 pristine acres of this community.